SPORAH TV: SHE IS LIVING WITH SICKLE CELL ANEMIA SINCE SHE WAS BORN..! SHE IS LIVING WITH SICKLE CELL ANEMIA SINCE SHE WAS BORN..! Placida Acheru is Founder of "Coaching 4 Excellence". She is known as UK’s No1 Business Transformational Coach, a natural entrepreneur internationally sought after speaker, social media marketing Strategist, and Wealth Creation Coach. Hey Placida, Welcome to The Sporah Show. She got started in business turning her hobbies into money making ventures and showing others how to do the same. Having gone through some life challenges, she learned the hard way, and then she made a decision that things just had to change. Marie, Placida and Sporah On set. Today through her experience, business systems and strategies have impacted the lives of business owners, helping them restore vision, take action and create excellence in business. Her passion is seeing people discover their true call, taking charge of their lives, breaking every road block to financial success and having an all round success. I had such a wonderful time and mostly I learned a looot from Placina. Thank You for sharing your Inspirational Story With The Sporah Show. SHE WAS CROWNED ACS QUEEN ON THE 12TH JUNE 2011..! Sporah Welcoming Léopard-marie Johnson on the show. She goes by the name of Léopard-marie Johnson, mostly known by many as Leo. she is 20 years old studying business and finance at the university of Bedfordshire, Luton. Her parents are from Nigeria. She model part time since May 2009. She has worked with Theodore Ibekwe; modelled at the Urban Music Awards 2010 and for Toni & Guy. SPORAH AND L'EOPARD-MARIE ON SET..! Leo is looking forward to working with young people, including projects with young people with sickle cell. She's so beautiful and very confident. She is The Real Beauty With The Purpose..! Leo love learning languages - She has been learning Twi for 3 years, Spanish for over 6 years and currently learning French and Afrikaans. My hobbies include blogging, sewing, painting and dancing. She also collect apple juice cartons and bottles. Leo will be going into radio presenting this month for new online boutique Oel & Apples. She is planning to start her own charity for eczema awareness because she experienced eczema herself. She is working to set up her own male modelling agency. 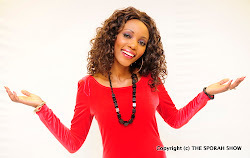 Since She was crowned ACS Queen on the 12th June 2011, Leo has been interviewed for colourful radio and NV magazine. 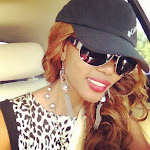 This year, she is looking forward to working with young people, including projects with young people with sickle cell. Leo is looking forward to starting her own charity for eczema awareness and starting my own male modelling agency. Leo was crowned ACS Queen on the 12th June 2011. ACS Kings and Queens is the inter university beauty pageant the draws on male and female entrants from African Caribbean Societies across the land in bid to become crowned ACS King and Queen. The dynamic show also has a unique fashion designer round which pairs the university entrant with an aspiring designer, who has the responsibility of producing an innovative piece. Founded by a group of young African-Caribbean entrepreneurs who have the ambition to influence, encourage and inspire the new generation of African-Caribbean’s. Our mantra “unearthing hidden talent within the African-Caribbean community” is about bringing to fruition the talent within our community. ALL COMING UP ON THE SPORAH SHOW NEXT MONDAY 9TH AUGUST 2011. STAY TUNED. Hey Sporah, I Know someone who lives a full and active life. Recently, she talked about sickle cell disease in a video created by the National Heart, Lung, and Blood Instit, i will email you her details so you can get her into your show. 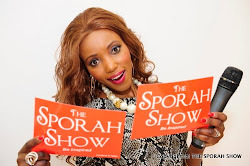 I LOVE THE SPORAH SHOW. I am a 37 year old Somalian living in America. I was diagnosed with SCD when I was 1 year old. I live with my mother and father still because my health has been on the down turn ever since I was diagnose with RA (rheumatoid Arthritis) last fall January 2011. I have 4 sister and 2 brother one of my brother has the trait and one of my sister has the trait but I was the lucky one to get SCD not just SCD but SS trait. Not SC or SA, SS the worse one, or so I have been told. Thank you Ziporah for providing awareness and support for Sickle Cell Disease. umependeza sana sporah, na huyo model yuko bomba sana pia. Umependeza sana saaaaaaaana Sporah, Nywele, Makeup, Your Dress, Da shoes, girlfriend, UKO JUUUUUUU.